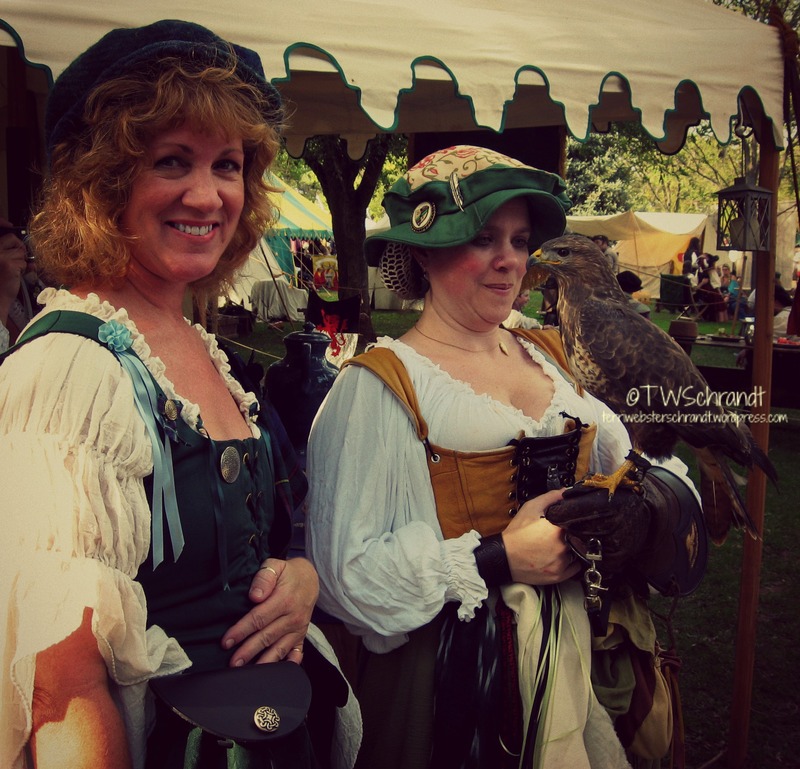 Fairgoers (me) got to stand by the lady falconer for a Ren-selfie. Over the centuries, as names became more standardized and recorded more accurately, the name morphed into MacKeon. A branch of this Sept settled in county Galway where they owned land in the 16th century. The name eventually became Anglicized into Owen. The surname MacKeon was often rendered MacKown, long associated with people living in Northern Ireland, the descendants of Scottish settlers. Irish families left Ireland in astonishing numbers during the 18th and 19th centuries in search of a better life, emigrating to Australia and North America. Family names morphed again, with the surnames becoming Keown or Keon. Families with these names showed on passenger lists and arrived in Philadelphia, Pennsylvania between 1840 and 1855. Once in the states the surnames morphed into McCune, McCuen, and McEwen. My grandmother’s family names on my father’s side were Mauldin and Shirey. Despite the Scottish influence from the McCune side, combining the two families firmly planted me into Scotch-Irish lineage. 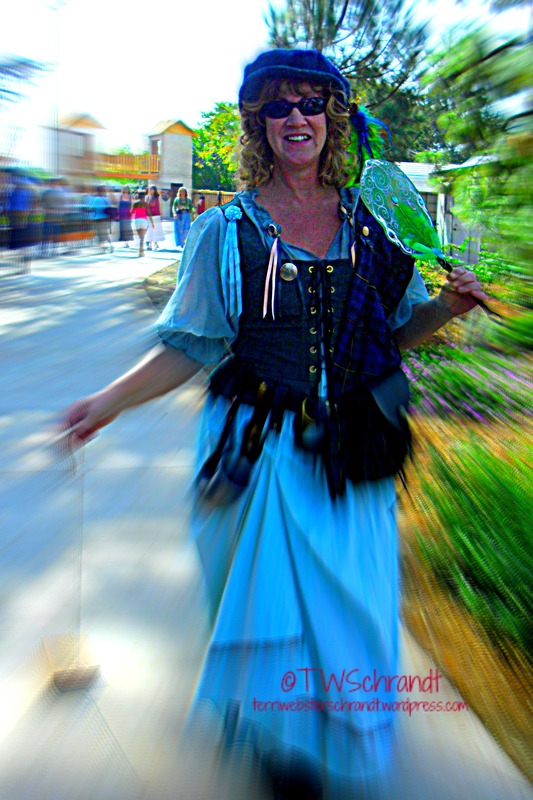 Other than an Americanized version of St. Patrick’s Day on March 17th, the closest I can get to celebrating my Scotch-Irish Celtic roots are at Renaissance Faires. I love to dress up in garb and can even get my hubbie to don pirate’s garb. I mean what man doesn’t want to attend a faire where he can wear a sword, hoist mugs of ale, and gaze at corseted busts? HUZZAH!! A bit delayed in getting to this one but absolutely love the pictures and the story! Oh, that looks fantastic! I always thought I’d be a Rennaisance/Medieval fair go-er, but then I moved to Japan and they are few and far between (though I discovered recently that they *do* in fact exist). Love the costume, too! Do you sew your costumes yourself? Interesting genealogical information, too. I love family history and even did a short summer internship at the National Archives of Quebec. The evolution of/meaning behind names has always been an interest of mine. I used to sew, but not so much anymore. Names are really fascinating to me, too!